The Ocean Pearl Retreat, Chattarpur, Delhi, is a luxurious resort nestled amidst the neighbourhood of the famous Chattarpur Temple. The venue gives you the privilege to choose from six modern, multipurpose and aesthetically-designed banqueting space. Ocean Pearl Chattarpur has lavish interiors are blended with exceptional lighting, adding a sophisticated touch to every private event and function. For folks, who love to take the party outdoors, Ocean Pearl Chhatarpur also facilitates two gorgeous and airy lawns, Giardino and Ethnic. While Giardino at Ocean Pearl Retreat Chattarpur is perfect for mid-sized to grand events, Ethnic can host the most lavish affairs of the town. Additionally, Ethnic and Tulip can also be combined into a more personalized space for your wedding. If you plan to have a big fat Indian wedding, or one with a small guests-list, The Ocean Pearl, Chattarpur, Delhi, is the one for you. Ocean pearl has small banquets for birthday parties and anniversaries. Their Regal banquet can easily accommodate around 450 pax. This venue has a low ceiling height but the chandeliers make the hall look really attractive. Their Majestic hall can accommodate around 300 pax and is ideal for hosting a pre wedding function. They also have Atrium hall that is on the first floor good enough for a large gathering. The venue has a lawn in the front which can accommodate 600 pax. At the back there is a huge setup with a Roman theme which easily accommodates around 1500 pax. 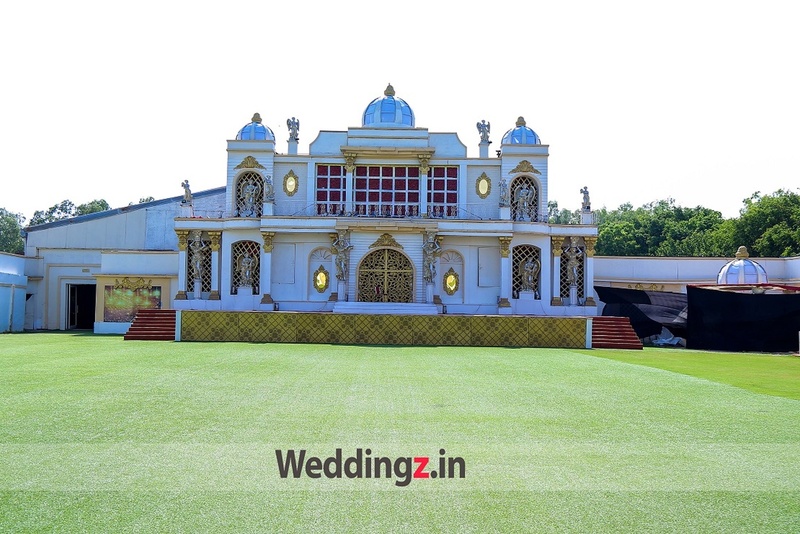 The lawn is further attached to a pandal which accommodates around 600 pax. You can combine these two for functions that have a large guest list. 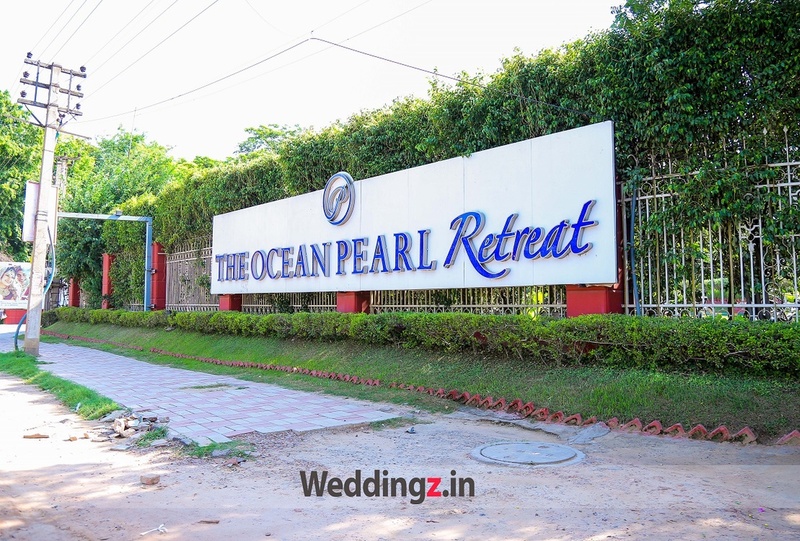 The The Ocean Pearl Retreat located in Chattarpur, Delhi has Wedding Hotels, Banquet Halls and Wedding Lawns. Atrium can accommodate upto 250 guests in seating and 500 guests in floating. 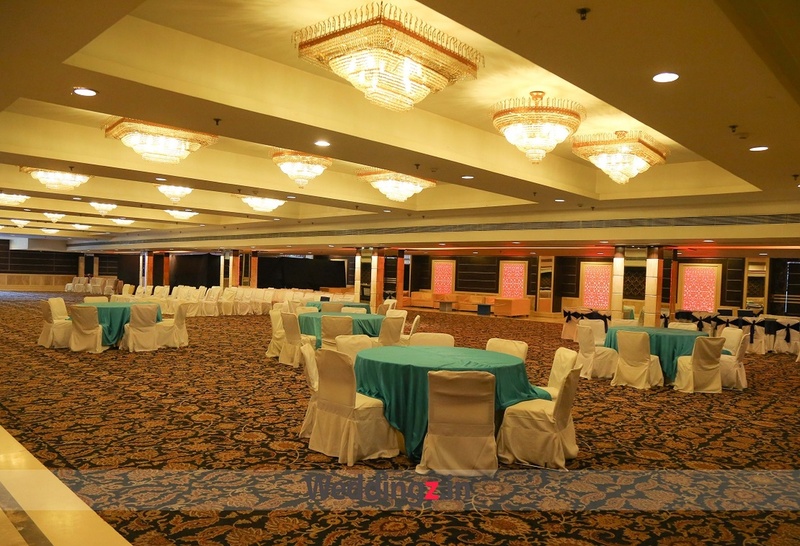 Majestic can accommodate upto 125 guests in seating and 300 guests in floating. Regal can accommodate upto 250 guests in seating and 600 guests in floating. Giardino can accommodate upto 450 guests in seating and 600 guests in floating. Ethnic can accommodate upto 1000 guests in seating and 1500 guests in floating. Tulip can accommodate upto 650 guests in seating and 1000 guests in floating. Vegetarian and Non Vegetarian food is served at this venue. Features of this wedding venues are : Food provided by the venue , Non-Veg allowed at the venue , Alcohol allowed at the venue , Outside alcohol allowed at the venue , Halls are air Conditioned , Ample parking , Baarat allowed , Hawan allowed , Overnight wedding allowed , Decor provided by the venue , Packages starts at Rs 1600 per plate for vegetarian menu and at Rs 1800 for non veg menu. Decoration starts at Rs 60000.